Luck for some people is nothing but just a myth. For the skeptic, Luck only exists in an imaginary world. They believe in hard work. In order to achieve their goals, they rely on all of those scientific measurements and strategic thinking and planning. nowhere, but somehow it gets there, become a solution to our problem. This thing is called Luck. Well, actually there is a living evidence about this luck thing. Somebody that has been experiencing many occasion, event, and many other things that happened to him, that is a result of Luck work. This so lucky guy is Muchlis Anwar. Ulish, that is what he called, has been traveling to Europe without spending a penny out of his pocket. He stays in Japan for a while without paying any money, get this and that, have this and that, that merely achieved by his luck. When he realize that he is such a lucky person, he tries to contemplate, seeks for the answer. What is the source of his luck, what makes him such a lucky person? After some time of thinking and contemplation, he found out those things that later he called it “The Secret of Luck”. 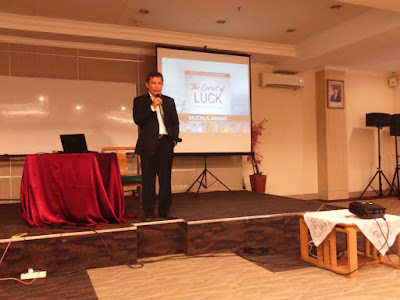 See, the secret of luck is not that kind of hard work, it’s more like a personal attitude and habits that somehow it can alter our path of life. Let’s start with a smile. Yes everybody can smile, it’s not hard to do, so can just smile make us a lucky person? Well, Ulish says that it’s not an ordinary smile, it’s a special smile. A smile that followed by the happiness inside our heart. To create such smile, try to remember the happiest thing that ever happen to us, anything, be it a first date, birthday party, wedding ceremony, anything. When we remember that happiest moment, try to feel the same happiness in your heart now, the same happiness you felt when you have a first date. And then, after you feel such happiness, show it with a smile. A smile with full of happiness inside. Ok, it’s easy, just feel happy then smile, that’s it, got it. Hold on buddy….. ^_^ yes we can recreate such happiness and express it through the smile, a brink of a smile, 2-3 seconds, and then finish. Ulish says, in order to make our self lucky, we have to live the day with that happiness smile at least 16 hours out of 24 hours. We have to retain this state of happiness smile that long. No matter what day we had that day, we have to be able to retain that happiness and that smile. When we can do it, then Luck is on the way towards us. The second is Pray. Yep, everybody does pray, to ask a favor of God. When we need something, we ask HIM, that’s pray. But in order to make us a lucky person, we have to pray in a different way than we usually pray before. Usually, on this praying thing, we are being an egoistic creature. We pray to ask something just for our self or our family. Actually, this “egoistic" pray is not wrong, but if we want to be a lucky person, we have to do more than that. We have to pray for another person. We have to pray for our friends, clients, customer, or even random person that not even our acquaintance. After Pray, the third secret is Grateful. We thank GOD for everything we had. Even if we are just an average low middle-class person in the society. We grateful for the life we have, the health, work, family, and everything that we had and experiencing. And the last, based on Ulish Secret of Luck formula, is get close to GOD. Yes, of course, if we want to make a deal with a client, we have to close with that client, and if we want to be a lucky person, we have to get close to HIM, the only one who hold Luck in HIS Hand. Those are the Secret of Luck. By the way, who is this Muchlis Anwar? 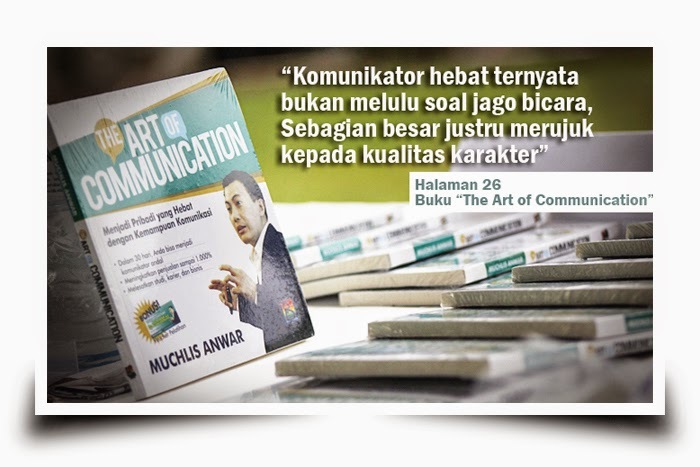 Ulish is an author of "The Art of Communication". 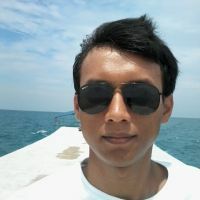 He also a Founder of seniberbicara.com. 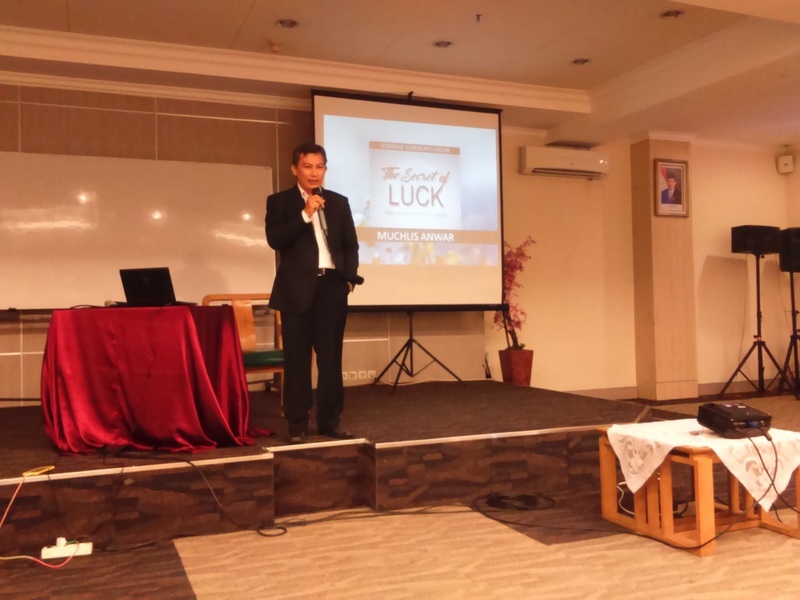 He gives training on public speaking, and later he actively give a seminar about "The Secret of Luck" to share what considered as his gift.